Florida guardianship practices continue to draw media and legal scrutiny. Recently a state court in Palm Beach brought an anticlimactic resolution to a long-running dispute over alleged guardianship fraud. The case reiterates the importance of careful estate planning to avoid the necessity for a guardianship in the event the worst happens to you. According to extensive reporting from the Palm Beach Post, a professional guardian allegedly embezzled nearly $400,000 from the bank account of a now-deceased 86-year-old woman under her protection. The elder had already been swindled out of over $1.2 million by a so-called life care consultant when the court appointed the professional guardian, who happened to be married to a judge and managed to pay off a personal foreclosure judgment just days after being named guardian. Despite evidence of guardianship fraud and financial elder abuse, the Palm Beach County Circuit Court rejected efforts by two local attorneys to remove the guardian due to their lack of legal standing. The attorneys challenged the guardian’s efforts to recover the money previously stolen from the elderly woman. Instead, according to the Post, the guardian agreed to a settlement of those issues–recovering less than the estate could have recovered–and proceeded to sue the attorneys. The attorneys and the woman’s heirs wanted to undo this settlement. Yet despite acknowledging the problem, the judges issued a one-sentence order rejected the attorneys’ appeal. However, this may not be the end of the saga. The Post reported that the deceased woman’s heirs may decide to file a separate civil lawsuit against the professional guardian, in which they could raise the same issues presented by the attorneys during the rejected appeal. It is therefore possible a jury may ultimately consider the merits of the elder abuse claims. 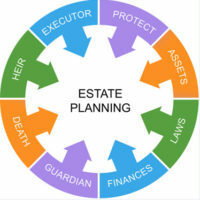 How Do I Avoid a Probate Guardianship? Executing a comprehensive Florida estate plan is the best way to prevent the need for a guardianship should you ever be unable to manage your personal and financial affairs. Two critical documents that every Florida resident needs to have is a power of attorney and a health care proxy. If you own significant assets, you may also want to consider creating at rust. An experienced Fort Myers estate planning attorney can assist you with creating these any many other documents designed to protect your interests. Contact the Kuhn Law Firm, P.A., today at 239-333-4529 to schedule a free consultation. John Pacenti, “Ruling ends effort to find $400K missing in Savitt guardianship,” Palm Beach Post, Oct. 27, 2017.